Ontario Bakery: Need Ideas? Best Holiday Gift For Chocolate Lovers Everywhere! Need Ideas? Best Holiday Gift For Chocolate Lovers Everywhere! If you're looking for the perfect holiday gift, look no further than delicious chocolate goodness. Aside from the fact that chocolate is a crowd pleaser, when you add a hand made or personalized feature, they only get more special! Gifts that get personal, reflect the sentiments of the season! There's usually a type of chocolate for everyone! For every budget there's a chocolate gift that's just right! 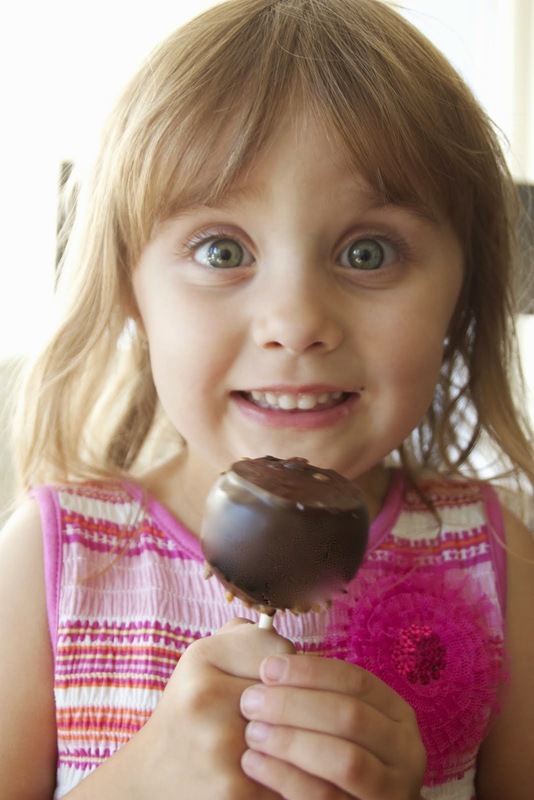 Being able to find the perfect gift of chocolate is as easy as noticing what kind they eat normally during the year. Check out what they love eating - the stuff they don't share might well be their favorite! Some people like dark rich chocolate that is bitter yet very sensual to eat. Some love the smooth soft taste of the white chocolate, and some love milk chocolate! 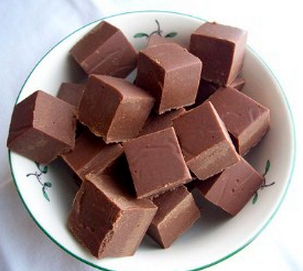 One chocolate that most agree on is fudge. 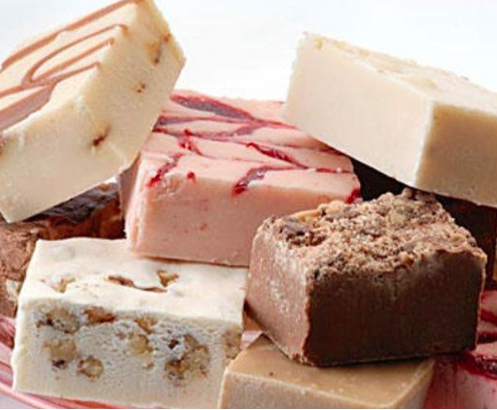 The buttery melt-in-your-mouth delicate nature of fudge will melt most hearts. They can be beautifully wrapped individually or as a whole platter or box. You will find this sort of gift goes down well with members of your family who you might otherwise struggle for ideas for. 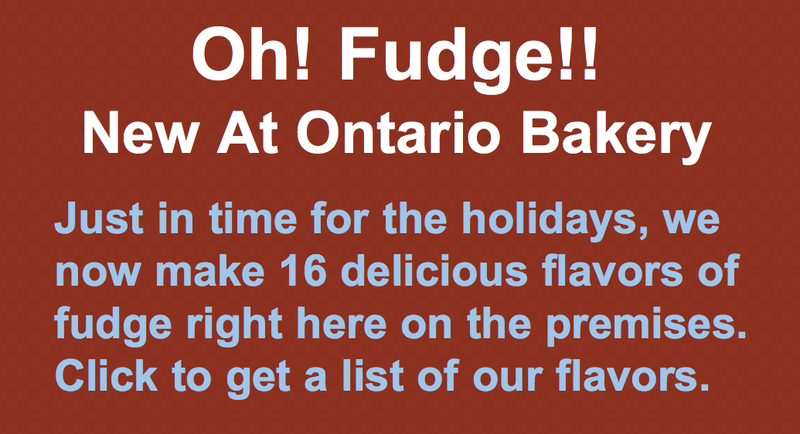 In any case, Ontario Bakery is ready to make the perfect holiday fudge for both your gifting and celebrating! Please, for those in southern California with a sweet tooth, we hope you call us today to place your delicious holiday order.